HIGHEST RATED RV PARK IN THE VERDE VALLEY! Extensive repeat customer base. 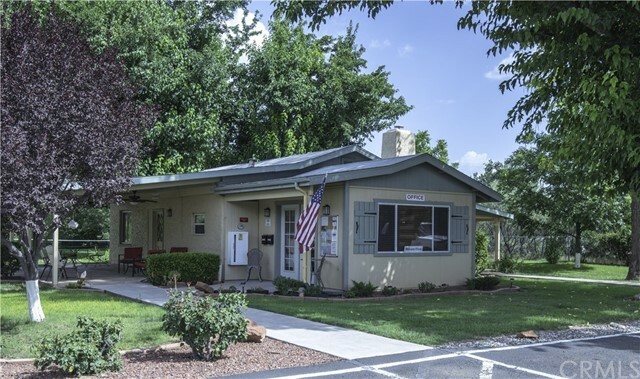 Rancho Verde Boutique RV Park is a “Green Oasis in the Desert”, a short distance to Sedona, Jerome, Cottonwood, Prescott and Flagstaff. Visit ancient historical sites, Montezuma Castle & Well National Monuments. The park has mature shade trees, paved roads, gravel pads w/concrete patios, green grass and a seasonal creek. 40 spacious FHU 20-30-50 amp sites. Potential for expansion. RV storage. Office attached to charming 2 BR house, a 2 BR rental mobile home, RV rental trailer. On 5.18 acres with two elevations. The upper park with 31 FHU sites contains the office building with 2 BR house, carport with laundry and 2 storage areas, mobile home & trailer, laundry/shower building, storage room and a large workshop. The gated lower park has 9 FHU RV sites on the seasonal creek and 6 RV storage sites. The property is on city water for domestic water and also has 2 water shares for agricultural/landscape irrigation in a canal from the Verde River. The stream provides a pleasant shady setting for the lower park RV sites. Sunshelter with adjacent horseshoe pit, fenced "dog play area" and an equipment storage building. Excellent income for 2018. Upside potential. No deferred maintenance. Perfect opportunity to own a RV resort in Northern Arizona. © 2019. The multiple listing data appearing on this website, or contained in reports produced therefrom, is owned and copyrighted by Multi-Regional Multiple Listing Service, Inc. ("MRMLS") and is protected by all applicable copyright laws. Information provided is for viewer's personal, non-commercial use and may not be used for any purpose other than to identify prospective properties the viewer may be interested in purchasing. All listing data, including but not limited to square footage and lot size is believed to be accurate, but the listing Agent, listing Broker and MRMLS and its affiliates do not warrant or guarantee such accuracy. The viewer should independently verify the listed data prior to making any decisions based on such information by personal inspection and/or contacting a real estate professional. Listing courtesy of Sigrid Green from Sigrid Green Real Estate . Last updated Thursday, April 18th, 2019.